Showing results by author "Sammy Ikua Gachagua"
Sammy Ikua Gachagua had lost his father to AIDS, his mother to abandonment, and his home to poverty. By age ten, he was living in a shack with seven other children and very little food. He entered Tumaini Children's Home seeing it as a miracle with three meals a day, a bed to sleep in, and clothes on his back. 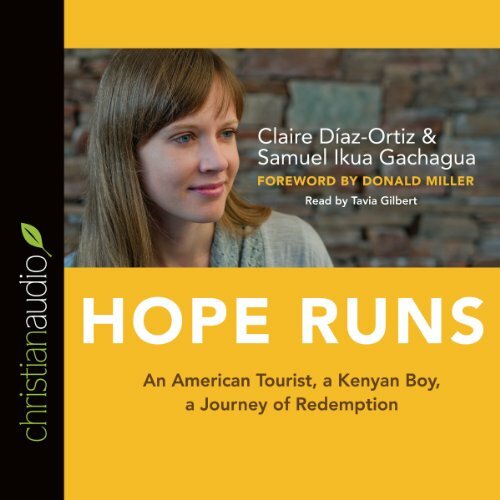 When Claire Diaz-Ortiz arrived in Kenya at the end of an around-the-world journey, she decided to stay the night, climb Mt. Kenya, then head back home to Maine.